BOSTON, April 6, 2017 – Julio J. Rotemberg, the William Ziegler Professor of Business Administration at Harvard Business School for two decades and a pioneering and influential economist who developed an econometric approach to modeling the macroeconomy, died of cancer on April 2 at his home in Newton, Mass. He was 63 years old. 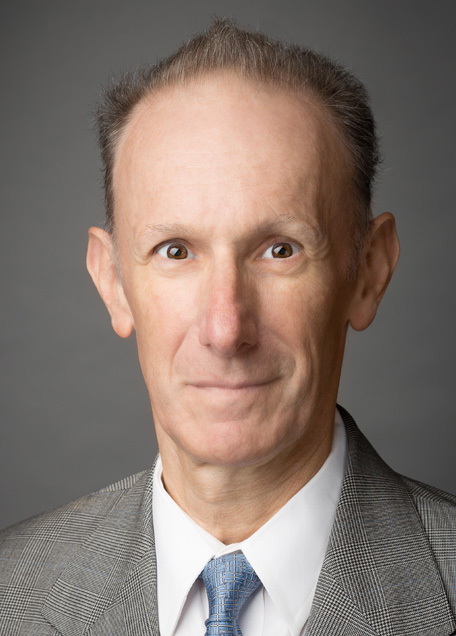 Rotemberg’s research, published in more than fifty articles, papers, and book chapters, focused on the sources of economic fluctuations, particularly the effects of monetary policy, fiscal policy, and oil price changes. He also explored the behavior of retail prices, international economics, and the economics of both market structure and organizations. Among Rotemberg’s most significant papers was “An Optimization Based Framework for the Evaluation of Monetary Policy,” coauthored with Professor Michael Woodford of Columbia University. Published in the 1997 National Bureau of Economic Research (NBER) Annual, the paper developed an approach for modeling the macroeconomy that provided the basis for the Dynamic Structural General Equilibrium (DSGE) models now used widely in both academia and policy-making bodies. The Rotemberg-Woodford approach had distinct advantages over prior attempts to quantify the effects of monetary and fiscal policy interventions and has been expanded and refined by subsequent researchers. The paper had a significant and wide-ranging impact, since all central banks today have a version of a DSGE model that guides their policy decisions. Rotemberg was also among the first to introduce the concept of “monopolistic competition” -- a market structure that combines elements of monopoly and competitive markets -- into models of macroeconomic fluctuations. Rotemberg also brought a deep understanding of U.S. economic history to his work. In a 2013 paper titled "Penitence after Accusations of Error: 100 Years of Monetary Policy at the U.S. Federal Reserve,” presented at a National Bureau of Economic Research (NBER) conference during the Federal Reserve’s centennial year, he offered a groundbreaking explanation for some of the changes in the central bank’s approach to stabilizing the economy and ameliorating swings of the business cycle over time. The research analyzed a particular force that may help account for qualitative changes in Fed policy: the tendency of the Fed to avoid actions that have been criticized for having led to poor outcomes in the past. The paper also discussed occasions in which the Fed abandoned its past approaches. In an NBER paper issued the following year, “The Federal Reserve’s Abandonment of Its 1923 Principles,” Rotemberg explored the history of one of the most dramatic reversals in Federal Reserve policymaking -- the targeting of monetary policy to promote financial stability – and its consequences. Rotemberg was also well known for his examination of why prices are “sticky,” meaning that they do not always adjust as quickly or completely as they should to changes in economic conditions. He believed that sluggish or infrequent price adjustments were a possible cause of market failures and involuntary unemployment and might justify government intervention. In a seminal 1982 paper in the Journal of Political Economy, he presented a formal behavioral theory justifying sticky prices. Among Rotemberg’s other publications are “Fair Pricing,” in the Journal of the European Economic Association; “Perceptions of Equity and the Distribution of Income,” in the Journal of Labor Economics; and “Models of Caring, or Acting As If One Cared About the Welfare of Others,” in the Annual Review of Economics. His broad body of work also includes “Charitable Giving When Altruism and Similarity are Linked”, which examines psychological factors that lead people to decide to contribute to a charity, and “A Behavioral Model of Demandable Deposits and Its Implications for Financial Regulation,” which reviews various government regulations available to be imposed on financial institutions to understand how much they can help protect investors. Rotemberg also developed more than two dozen case studies and other teaching materials. His cases “Subprime Meltdown: American Housing and Global Financial Turmoil” and “U.S. Banking Panic of 1933 and Federal Deposit Insurance” are best-sellers. Julio Jacobo Rotemberg was born on September 26, 1953, in Buenos Aires, Argentina. He received his BA in economics from the University of California, Berkeley, in 1975 and PhD in economics from Princeton University in 1981. He first came to Harvard Business School as a visiting professor in 1994 from the MIT Sloan School of Management, where he was on the faculty from 1980 to 1996. He joined the HBS faculty full time in 1997. At HBS, Rotenberg taught the macroeconomics course Business, Government, and the International Economy (BGIE) in both the MBA program and the Advanced Management Executive Education program. He began serving as Unit Head of BGIE in 2012. He also taught Marketing in the required first-year MBA curriculum and second-year MBA elective courses on Business History and Institutions, Macroeconomics, and the Global Economy. Rotemberg brought an international perspective and considerable rigor to the classroom, where he inspired many HBS students, both academically and personally. “Julio Rotemberg was arguably the best professor we had [in the first year of the MBA program]” wrote Alison Lu (MBA 2017) in a blog post. “If you got a ‘cold call’ to start the case discussion or commented on the case, he would ask very probing follow-up questions, so each of us spent a bit more time prepping for the BGIE case. His teaching style was as terrifying as it was effective,” she added. “He showed that it is possible to find a life’s calling that you are as passionate about as life itself.” At the MBA Class of 2016’s Class Day ceremonies last year on the day before Harvard Commencement, Rotemberg received the coveted MBA Student Association Class Faculty Teaching Award in recognition of his remarkable classroom skills. Rotemberg was editor of several leading professional journals during his academic career, including the NBER Macroeconomics Annual and the Review of Economics and Statistics. Most recently, he was associate editor of the Journal of Money, Credit and Banking. He was a fellow of the Econometrica Society and a research associate at NEBR. In 2007, he was also a visiting scholar at the Federal Reserve Bank of Boston for several months. Rotemberg is survived by his wife, Analisa Lattes, and their children, Veronica and Martin, both of New York City; his mother, Ellen Wolf, of Buenos Aires; his sisters, Astrid and Teresa, of Miami and Zurich, respectively; and his brother, Alfredo, of Key Biscayne, Florida. In lieu of flowers, donations can be sent to Erica Wilcoxson, Brigham and Women’s Hospital Development Office, 116 Huntington Ave., 5th floor, Boston, MA 02116-5712. Checks should be made out to the hospital and designated for the Center for Excellence in Nursing in memory of Professor Rotemberg. Gifts can also be made online at BWHgiving.org by selecting “other” under Designation and typing Center for Excellence in Nursing Fund (17374). Select “In Honor Of” under Tribute Type and enter Julio Rotemberg.